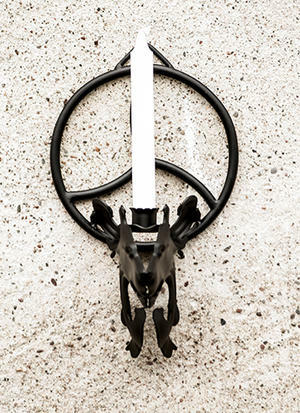 One-armed candle-holder in delicious and stylish design for the wall (sconce). 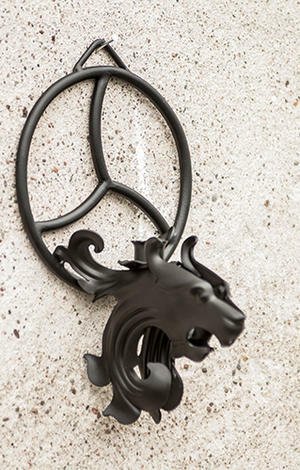 Powder coated in black steel with a cool dragon before. The triskele in the background meters 18,5cm in diameter and has a hook for easy suspension on a wall. Candle holder measures a total 34 cm.